Jose Canseco hardly blinked when he heard about Manny Ramirez and HCG. Then again, Canseco already had inside information on the banned substance - he's on probation for trying to carry it across the Mexican border. 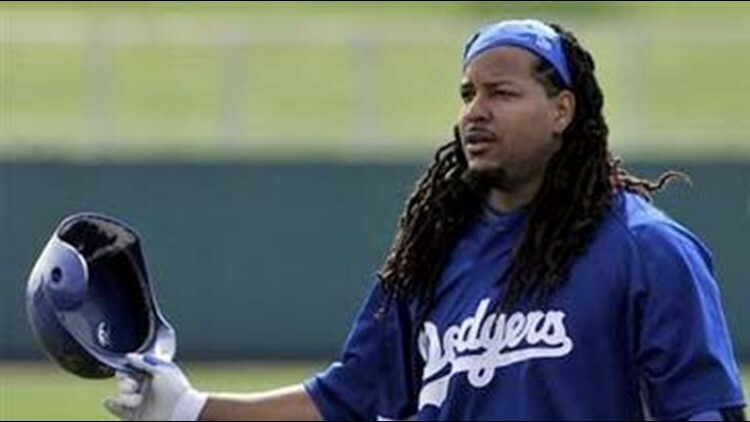 Ramirez was suspended for 50 games by Major League Baseball on Thursday for failing a drug test. That ban was based on evidence he used human chorionic gonadotropin, a female fertility drug, a person familiar with the suspension told The Associated Press, speaking on condition of anonymity because those details were not released. Asked why the Dodgers star might've taken it, Canseco offered a general explanation. "It could be that a player used it because he used steroids and went cold-turkey and needed HCG to get his levels back to normal," Canseco told The Associated Press by telephone. "I had to use it when I quit steroids cold-turkey. I had to go to a doctor to get it and get my levels back. Yeah, they may not be taking steroids now, but they may have and now their testosterone level is not back to normal. HCG is one of those chemicals - it works but it takes time." Canseco was to hold a news conference Thursday night in Los Angeles. Ramirez ranks 17th on the career home run chart with 533. Five players on the list above him - Barry Bonds, Alex Rodriguez, Sammy Sosa, Mark McGwire and Rafael Palmeiro - have been tainted by either positive drug tests, admissions or allegations. Did the news about Ramirez surprise Canseco a bit? Canseco wrote two tell-all memoirs, admitting he juiced for nearly an entire career in which he hit 462 home runs. In those books, the former Bash Brother named names and described how he injected teammates with illegal anabolic steroids and human growth hormone. "I've had no direct contact with Manny," Canseco said. "If you look at all the players in the past, all the ones before the pre-testing, and what they did in the game, I think you have to look at every player that played in the last 10 to 15 years," Canseco said. "I paid the ultimate price. I didn't get suspended, I didn't get fined. I lost everything. My last at-bat was the end of my career," he said. Last November, the former AL MVP pleaded guilty to a misdemeanor of trying to bring HCG across the Mexican border into the United States illegally. He was sentenced to 12 months' unsupervised probation. "It's a problem that is being cleaned up slowly but surely," Canseco said. "But it comes at the end of an era when steroid use was so rampant. Now the cleanup process is hopefully ending." Canseco, meanwhile, said he planned to skip the splashy book on Rodriguez that was released this week. "I'm not going to read what I already now. It's old news to me," he said.